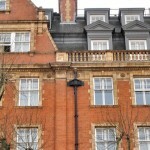 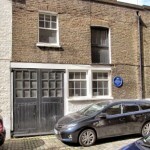 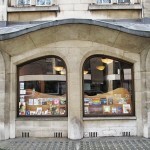 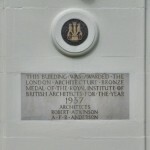 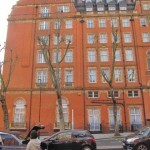 The 2014 London Meeting examined brick buildings in the northern half of the former London Borough of St Marylebone, now part of the City of Westminster. 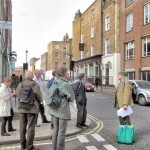 Most members will be aware of the pedestrian crossing near to the Abbey Road Studios, but Abbey Road and other parts of the northern half of the former London Borough of St Marylebone.has a wide range of brick buildings from the 1820s to the present day. 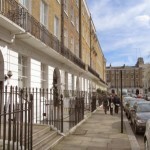 Beginning at London’s last major railway terminus, St Marylebone, built in 1897, and the associated Grand Central Hotel, we looked first at Dorset Square, a complete set of houses built in the 1820s and 1830s; there are similar houses in the streets leading north from the square. 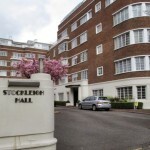 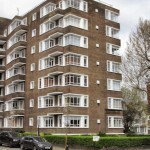 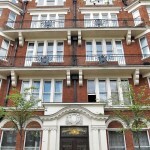 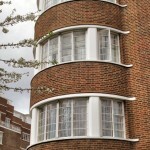 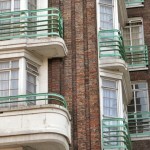 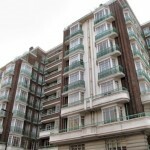 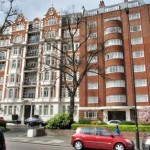 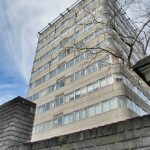 There is a range of municipal and private blocks of flats of various dates on Lisson Grove and mansion flats in St John’s Wood built in the 1890s and up to the Great War. 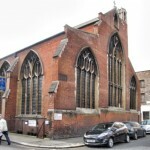 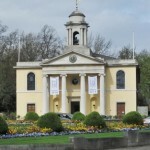 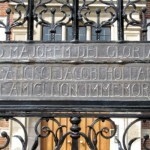 Christian churches in brick of various denominations include particularly fine ones designed by J.J. Scoles for the Roman Catholic Church and by Habershon & Pite for the Baptist Church The area has four synagogues. 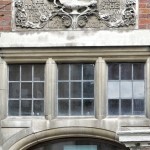 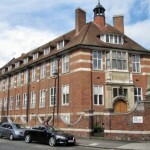 Brick-built schools range in date from those of the London School Board in the 1890s through to ILEA comprehensives of the late 1960s. 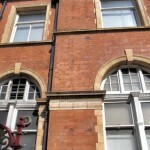 Buildings Notes will be posted on this site shortly, but for now here are some images taken on the day.